I'm notating a drum beat in Finale that I worked on at first using a piano roll. Below is a screenshot of the piano roll containing the beat's pattern. I played the score on Finale and it sounded correct, but I have two questions. First, for some reason, Finale didn't let me write that quarter-note rest for the kick at the end of the second measure unless I disabled the "check for extra notes" option in the configuration for the note entry tool, suggesting that maybe I was overfilling the bar. I went through the durations, but I couldn't find a mistake. So am I really overfilling the bar or is this just Finalle being difficult? Secondly, even if I am notating this correctly, I'm wondering if that 8th rest followed by a 16th rest is not too confusing. Is there a way I could write this more clearly? The ride cymbal is not in the correct place. A single ride usually goes on the top line, and if there is a secondary ride cymbal then that might go on the 4th line like you have. I'm guessing that you picked among multiple available ride cymbal sounds in your piano roll, and the one you picked is tagged as a secondary cymbal and was exported with that information attached. As written, there are too many beats in the bass drum line. You can see how the quarter rest doesn't line up with the 4th beat on the ride. That's because 1/2 + 1/32 + 3/16 adds up to more than 1/4. In order to match your piano roll, that dotted note needs to be a dotted 16th. However, I would suspect that the real solution is to put that last bass drum hit squarely on the upbeat instead of 1 32nd note later, and make it an eighth note. Unless I'm reading it wrong, that 16th rest you wrote appears to be a 32nd rest. Let's think about this in terms of 16th notes. If that 32nd rest became a 16th rest, then you wouldn't use the quarter rest either. The bar needs to add up to 16 16th notes, and after the 2nd beat, 8 are used up. Then the eighth rest adds another 2, the dotted eighth adds another 6, and the last part of the measure needs to be 2 more 16th notes. So the quarter rest needs to be an eighth rest to write this in 4/4. Both previous answers are close but not on the mark, according to your description. If it really sounds the way you want, then the problem is with the bass note in the 3rd quarter. There is already an 1/8 break, then you have an 1/8 bass note. With a dot, which adds 1/16. And a 1/32 break before. If you add those, obviously they are a bit over 1/4. Again, if you like the place where the note is played, then the first break (1/32) is correct. The length of the note can then only be 1/16, not 1/8. And keep the dot for the remaining 1/32. I have to add that it does sound strange if not played fairly slowly and one of the above answers would be the real one, in that case. Not the answer you're looking for? Browse other questions tagged notation drums finale or ask your own question. Can playing in cold weather damage a drum set / skins? Is there such a thing as a silent drum set? Where could I find songs where the drums are muted (to play along on an electrical drum set)? 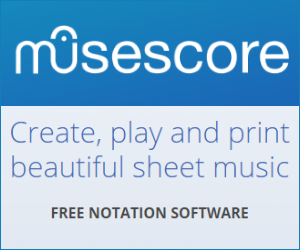 What does the music notation “/ / / /” mean in a music drum score?